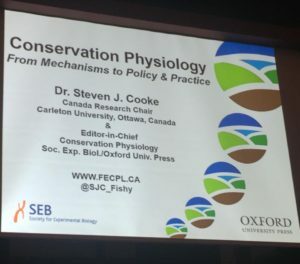 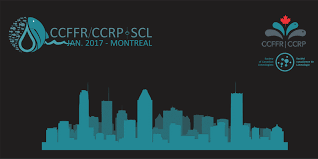 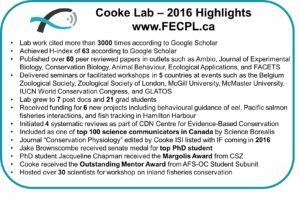 Cooke lab members attended the recent conference in Montreal to present their Canadian fisheries research. 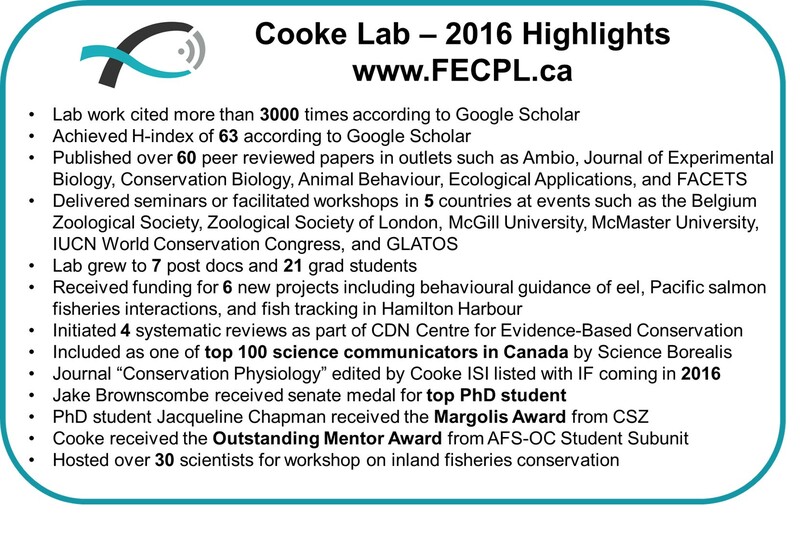 Cooke Lab hosts Dr. William Mitsch from Florida Gulf Coast University for the 2016 Herzberg Lectureship. 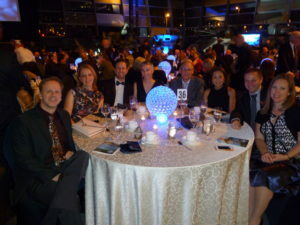 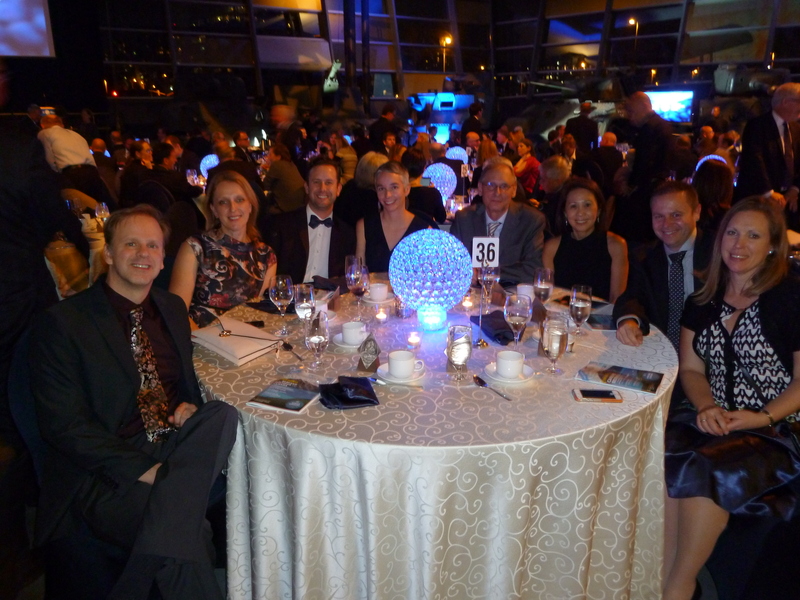 FECPL at the Royal Canadian Geographical Society Gala.